A 1031 exchange may be used by an investor as a powerful tool to build wealth by allowing them to defer capital gains tax. The Cornerstone team has extensive experience in the process of 1031 exchanges and can help you to proceed according to the IRS rules so that your exchange will be successful and qualify for deferral of capital gains tax. 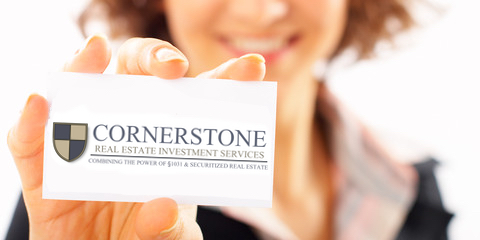 The Cornerstone team maintains a large listing of investment grade properties through our nationwide network of sponsors which are available to the smaller accredited investor for use in their 1031 exchange. These offerings are typically structured as Delaware Statutory Trusts or Tenancy in Common arrangements. The Cornerstone team can help you compare and contrast numerous DST or TIC properties and thereby identify the property best suited to your unique investment objectives and 1031 exchange requirements. Cornerstone helps you select a property, or properties, which best reflect your particular investment needs and preferences, risk tolerance, asset class, time frame, and goals. Cornerstone apprises you of the basic tax laws relating to 1031 exchanges. In addition, Cornerstone may be a reference to help you plan your 1031 exchange in advance and accompany you through the process so that all the procedures are followed and you have adequate time to consider each step. Finally, Cornerstone helps you complete the process of purchasing the replacement property and facilitates adequate communication between the various parties.